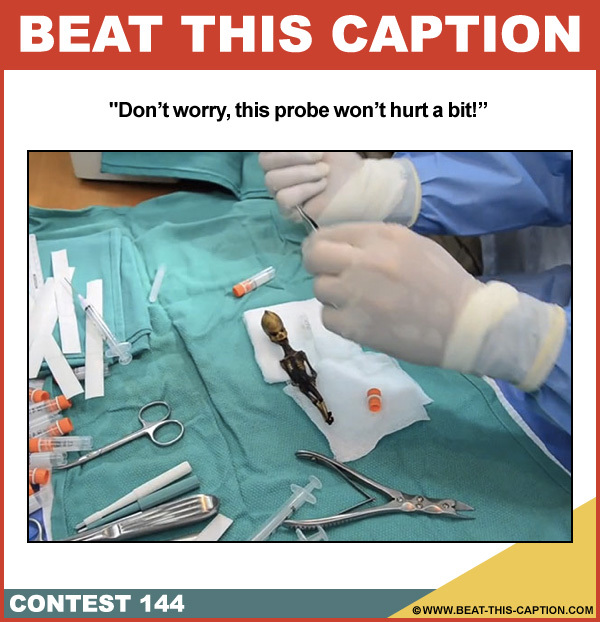 Beat This Caption Contest 144 – Caption Contest Funny Clever Witty Enter Today! Don’t worry, this probe won’t hurt a bit! May 5th – May 11th 2013.